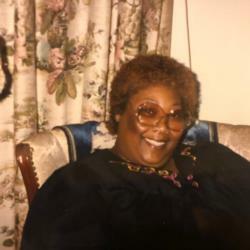 Cherri Marisa Payne McIntyre, 72, formally of Chattanooga, passed away on Thursday, October 25, 2018 in Cincinnati, Ohio. She was born March 31, 1946 in Chattanooga to Charles Payne, Sr. and Eula Mae Payne. At an early age, she devoted her life to Christ and grew up attending New Mt. Carmel Baptist Church. She later became an active member of Wesley Chapel Baptist Church. After moving to Cincinnati, she became a member of New Jerusalem Baptist Church. Cherri graduated from Howard High School class of 1963. She spent many years working at WNOO radio station where she later retired. She impressed everyone with her bold personality and outspoken words. She had a big heart and loved to laugh and spread joy to people in many different ways. She was preceded in death by her parents Charles Payne, Sr. and Eula Mae Payne; her brothers William Green, Charles Payne, Jr., and Lebron Payne; and her loving daughter Alicia Lynne Payne Fowler. She leaves to cherish her memories her grandchildren, Britney Fowler, Harry Fowler, Jr., and Chasity Walker; her nieces and nephews, Angela Maffett-Terry, Aguya Green, Orisha Green, and Tanisha Green and a host of cousins and friends; long time devoted friend Beverly Johnson and devoted friend and honorary grandchild Char Zureick. A Funeral Service will be held at 11:00 am on Friday, November 9, 2018, at New Jerusalem Baptist Church, 26 W. North Bend Road, Cincinnati, Ohio. Courtesy announcement by John P. Franklin Funeral Home, 1101 Dodds Avenue, Chattanooga, TN, 423-622-9995.